In fairness I will emphasize the best part of this unit - it is centrally located just off the promenade in old town Nice - easy walking distance to virtually everywhere most people would want to go. The place is very clean and has an adequate terrace. It was very well ventilated and there was plenty of hot water. The owner was very helpful in advance to make our arrival an easy experience. This said, the place is probably better suited for a young couple more accustomed to smaller places and a fold out bed. We adjusted to that to some degree, but the kitchen was too small for us to really cook in. There is a coffee pot and microwave but little counter space and a two burner stove top. Setting that aside the real issue was the neighbor next door who was drunk, loud and stayed up late three of our seven nights in Nice. This is problematic for us because we were already adjusting to an eight hour time change. Obviously, the owner is not responsible for that but it ruined much of our trip. Still, Nice is great and we will be spending another eleven days there in April. the kitchenette remembers that the apartment is around 25 square meters as described on Homeaway. Great location. Nice apartment. Quiet. Close to old town and only a block to the promenade. Would definitely stay again. The location of this studio is great, very close everything. The apartment was clean, also pillows and bedclothes. There was all the items we did need during our ten night stay. Mme Elsa was super nice and friendly and did tell everything about the apartment clearly. Also the contact with the ownwer was very quick and friendly.In the mornings we did wake up to birds singing. Sometimes the voices from neighbourgs did continue quite long to the night, but cos we were on the vacation, it did not disturb us. 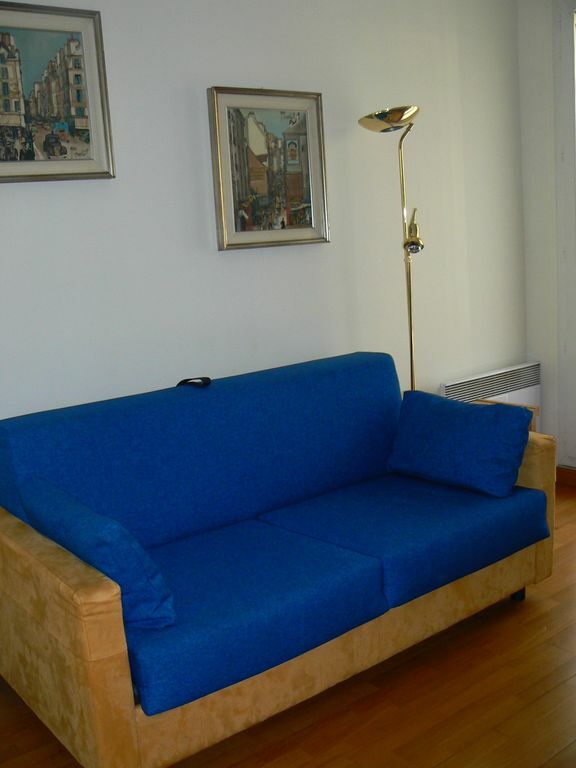 "Lovely studio: really light, clean, quiet and comfortable and in a great location. Beach, restaurants and station all in easy walking distance. Happy to recommend it. Beau studio, propre, très calme, idéalement situé: tout se fait facilement à pied (plage, restaurants, la gare etc) Une adresse à recommander." "It is a cosy, clean and nice studio in the heart of Nice. It is located on very lively street with lots of bars, shops and restaurants. Windows are oriented to the beautiful garden so there is no noise at night. Sea is just 100 meters away. Beaches are pebbly in Nice. For a sandy beach we had to go to Antibes (15 km away from Nice). We had an amazing time in Nice and I wholeheartedly recommend this studio to everyone." A few steps you'll find the famous 'Market flowers' in the old town. To enjoy a wonderful landscape we recommend you, to go on the 'hill of Chateau', taking the little train at 20mt from home in the 'Promenade'.